Procedure: Admissions are open online for class LKG from Feb 4, 2019 to Feb 5, 2019 for the academic year 2019-20. NO FIRST-COME-FIRST-SERVED BASIS IN ADMISSION .2. LKG applications will be available ONLY ONLINE .3. Request for application form in person at the school premises will not be entertained.4. The parents can apply, if the child is born between December 11, 2014 and December 10, 2015.5. Filling of applications ON-LINE will be open from 00:00 hrs February 4th, 2019 and will close at 24:00hrs February 5th, 2019.6. All the details have to be filled in ON-LINE only.7. A valid email address and a mobile number are mandatory.8. The mobile number should be retained till the admission process is completed.9. Parents have the option to preview the duly filled in application form to avoid any data entry errors. In case of any data entry error, parents can go back and correct the details. Kindly ensure that all the details have been filled in accurately without any mistake.10. Parents can take a print out of the duly filled in application after Preview Stage in one of the three ways given below :- a. Direct print out, if connected to the printer. b. A saved copy of the duly filled in application in PDF format to the local machine through Google Chrome only and print it out later. 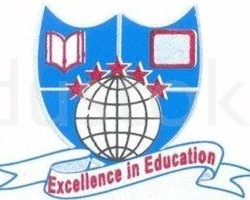 Documents: Application for KG admission should be accompanied by for the academic year 2019 -20 Aadhar Card Community Certificate Birth Certificate For Std I to X : Mark Sheet Transfer certificate Conduct Certificate Admission for classes UKG to X The school will consider admission, subject to availibility, students from schools recognised by the Central or State Board, on production of TC issued by the Educational Department. The applicants should also satisfy the requirements of CBSE scheme of curriculum. Admission will be based on the performance in the entrance exam. Admission for XI The student should have: Passed the secondary school exam of CBSE or X std. Public exam in Engish Medium, under the new XII scheme in the SSLC, ICSE or Matric. Students of Chinmaya Vidyalaya who have passed the above exam will be given preference based on the marks obtained. Groups Offered: Science Group (Physics, Chemistry, Maths, Biology/Computer Science), Commerce Group (Business Studies, Economics, Accountancy and Mathematics/Information Practices). 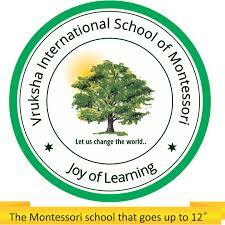 Higher Class Procedure: If there is vacancy then the school might issue application forms. Contact the school directly. Admissions areÂ open online for class LKG from Feb 4,Â 2019Â to Feb 5, 2019 for the academic year 2019-20. School will start issuing the application forms online for LKG on Feb 5th & 6th, 2018 for the academic year 2018-19.